I love my elderberries and look forward to harvest time every year. I always wish I had just a few more. Elderberries are used for pies and jelly. They are often used to make a medicinal syrup. Lots of people, including me, rave about the healing power of elderberries. 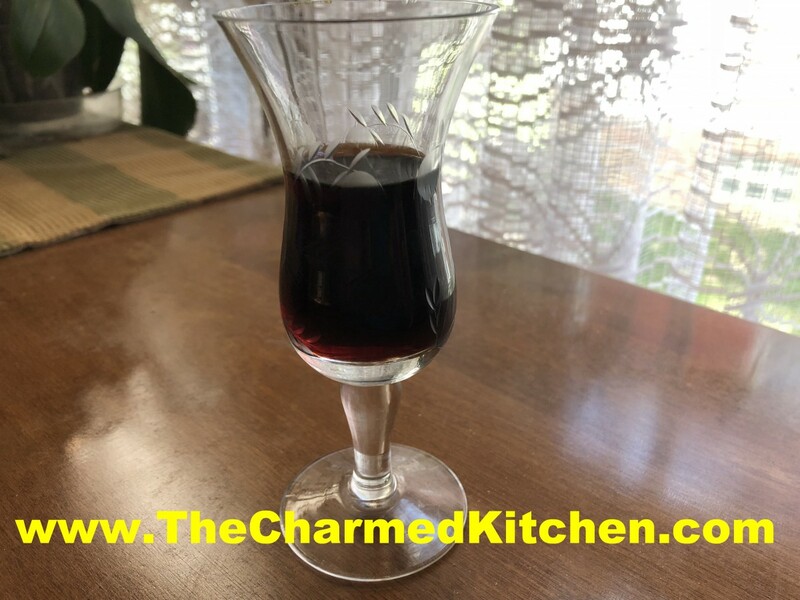 One of my favorite uses for elderberries is to make liqueur. The process is pretty simple. You just combine the berries with some alcohol- vodka, brandy or a combination of the two. The mixture has to steep for a few months to get as much flavor from the berries as possible. After that, it is strained, sweetened and allowed to mellow out a little longer before drinking. The hardest part is just waiting for it to be finished. It is worth the wait. 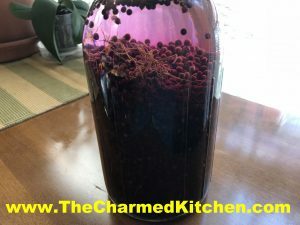 Elderberries have a slight bitter undertone and unique flavor. I love it. I gifted a bottle of it last year to a dear friend who loves elderberries even more that I do. She was so pleased and she would call me every time she was drinking it, just to thank me again. So here is the recipe. If you don’t grow your own elderberries, you can check out local farm markets. 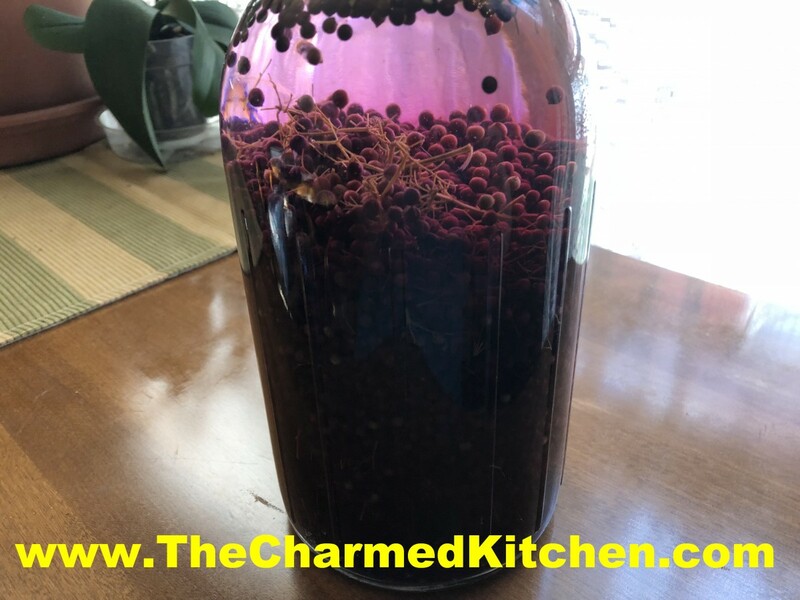 Stem berries, rinse and place in a large jar. Combine with peel, if using, and alcohol of choice. Close jar and store in a dark place. I just keep mine in a cabinet. I write the date on the jar, so I know when it has steeped long enough. Steep 3 months. Strain and filter and add sugar syrup. Mature 4-6 weeks. Simple syrup is made from 1 cup of sugar and ½ cup of water. Bring to a boil, then cool. You will have 1 cup of syrup. You can sweeten with honey, if you prefer. Watch when you substitute honey for sugar, as it is sweeter and stronger flavored. Better to use orange or clover honey. Add a small amount, stir well and taste in a few days. You can always add more sweetener later on. This year’s crop. The liquid will darken with time.